Next review Omega XL lies. Invest in Deception & Fraud. I cancelled and they continued to bill me! Omega Xl is a scam! Apr 08, 2016 As you have chosen to remain anonymous, we are unable to review the details of your account and offer to address your concerns. We recommend contacting the service professionals in our Customer Advocacy Group at 1-800-607-0419 or via email at cagsupport@greathealthworks.com. I ordered Omega XL and decided before the second shipment to cancel.I spent my time on the phone calling to cancel and they charged my account anyway. WTF! Omega XL billed me anyway! Bad business and I hope that someone will do something to put a stop to this! After having a problem I decided to check out the internet to see if anyone else is having this type of problem. I learned an important lesson. I will check on a company before I purchase anything else. 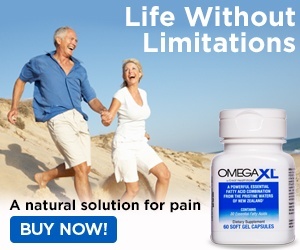 If I had seen all the things on the internet about Omega XL I would have never bought it. Review #267172 is a subjective opinion of steagall. Steagall I too had a similar situation where my billing was not cancelled correctly. However, Omega XL did fix the situation after I caught it a second time. They were more than willing to fix and address the situation. I found this site when trying to cancel originally and I feel your frustration.